Seeds or plays on Vulcan. 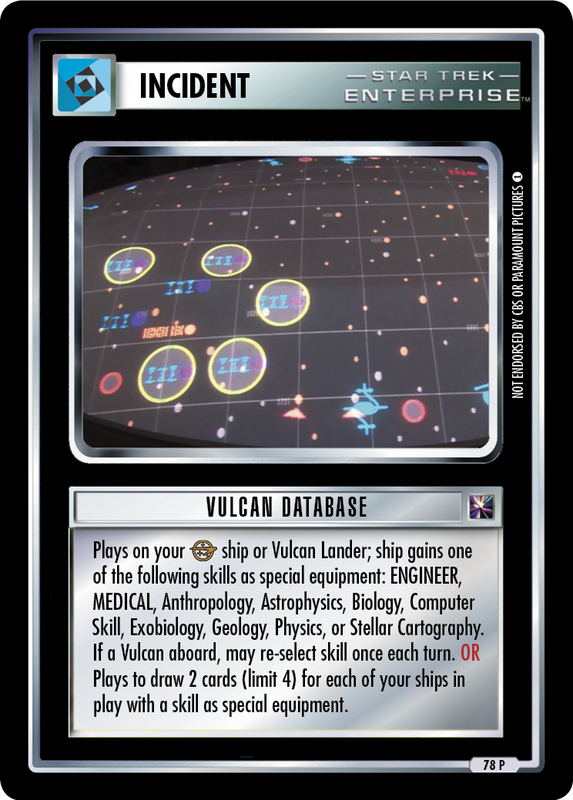 Your Vulcan cards may mix and cooperate (regardless of affiliation) and may use Vulcan ships and facilities. Once each turn, if you do not have Protect the Timeline in play, one personnel may report for free. 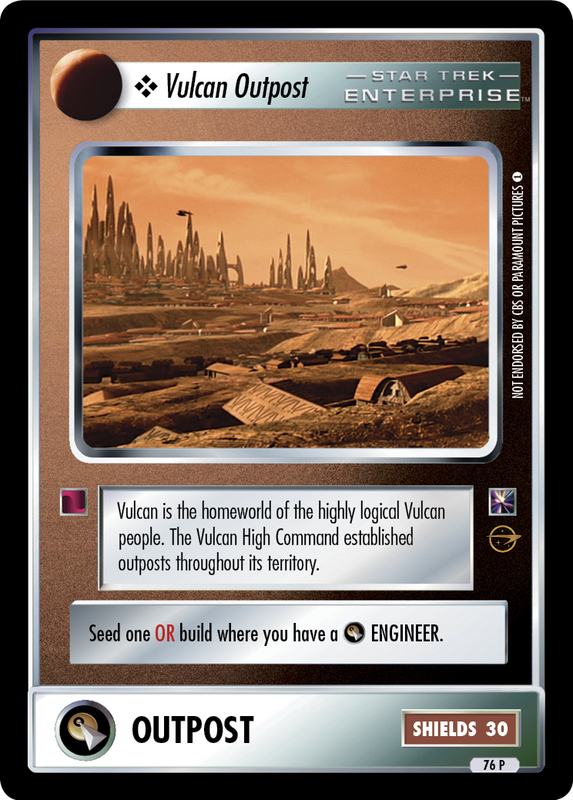 Twice each turn, your personnel and ships may move between here and 2154 Vulcan. 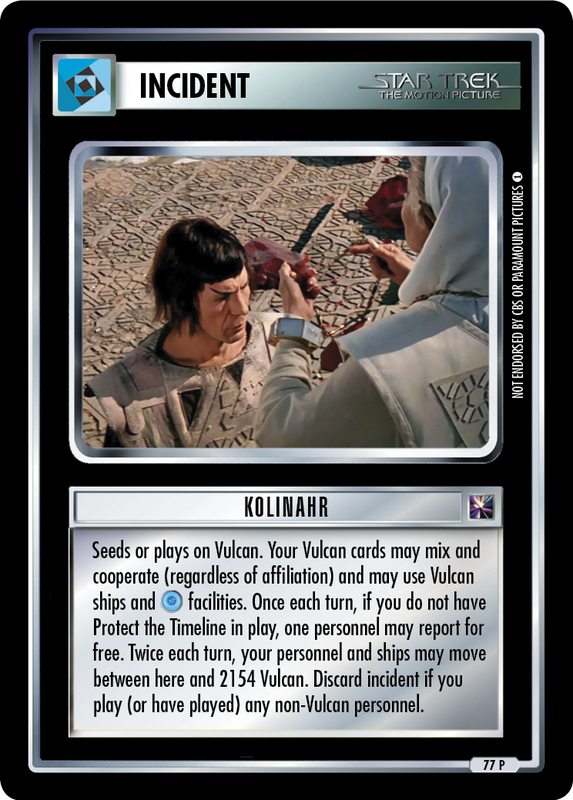 Discard incident if you play (or have played) any non-Vulcan personnel.